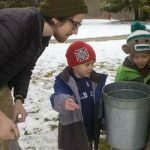 Michigan Maple Syrup Events 2019 – Maple Syrup and Syruping events, classes, tutorials, and syrup festivals celebrations in Metro Detroit, Oakland County, Wayne County, and Macomb County MI. February and March are the months for Maple Syrup in Michigan! Take a guided walk through the farm’s sugar bush. Learn how to pick the right tree, then watch how maple trees are tapped and sap is collected. Stop by the French and Native camp to hear and see how these techniques have changed through the years. Then visit the sugar shack to see and smell the sap being boiled down into maple sugar. Taste a sample of maple syrup at the end of the tour. Real maple sugar products and pancakes will be available for purchase.. Tours begin every ½ hour, last approximately one hour and are entirely outdoors. Dress for the weather. $3 child, $5 adult. A Metroparks vehicle entry permit is required for these events. Daily & Annual vehicle permits are on sale NOW. You can pick one up at metroparks.com OR visit your local Metropark today. 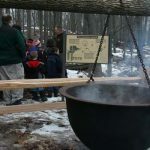 Help celebrate maple sugar season in Michigan by attending one or more Maple Madness days. Unique, hands-on activities appropriate for families with children of all ages. Choose from – Campfire Sugar (2/22), Tap That Tree (2/24), and Sweet Treats (3/10). Pre-registration required. Call 248-656-0999.
learn the first steps to make your own Maple Syrup. From identifying various species of maple tree, to the tree tapping process and sap boiling setup. 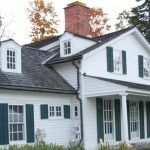 You’ll leave with all the knowledge you need to make your own syrup and the Spile, Tubing, and Bucket to tap your own Maple Tree. This program is held rain or shine so come dressed for the weather and a walk through the woods. Purchase tickets at rochesterhills.org. 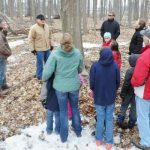 Take a guided tour through the sugar bush of the Stage Nature Center to discover how maple trees make sugar and how people have harvested it through the ages. This family-friendly program highlights natural and local history of our region. Tour includes a visit to the sugar shed to see a wood-stoked evaporator in action and activities to learn more about syrup making. Everyone will sample maple treats and children will have an opportunity to make a simple craft. Shop for Michigan-made maple syrup, cream, candy and more. 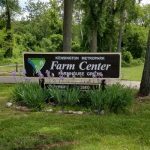 Tours last 1.5 hours and start every half hour Call 248-688-9703 for cost info or to register – or visit www.troynaturesociety.org. Learn all about the science of syrup and partake in a fun craft. Dress for the weather. All ages. Please preregister, 248-625-7280. $10 per family. A Metroparks vehicle entry permit is required for these events. Daily & Annual vehicle permits are on sale NOW. You can pick one up at metroparks.com OR visit your local Metropark today. Take a hayride to the Maple tree grove, tap the trees, bring sap back to evaporator and watch how maple syrup is made. Your family will not only see all of the steps in producing maple syrup but they will also take part in the process. Maple syrup and maple syrup products for purchase in the General Store in the Welcome Center. Dress warmly and boots are a must. Call 248-374-0200 for cost info and registration info. Celebrate one of the first signs of spring – discover the magic of making your own maple syrup from a maple tree. Identify and select a maple tree, collect the sap, boil it down, and turn it into delicious syrup. 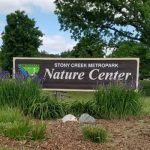 Please dress for the weather; a portion of the program is outdoors – Call the Nature Center at 248-477-1135 for cost info and to register. Start out with a meal of pancakes covered in Tollgate syrup accompanied by sausage and coffee and hot chocolate. Then you’ll jump on the hay wagon out to the sugar bush to participate in a tree tapping, visit the colonial sugar camp, watch sap get turned to syrup in the sugar shack and check out Max the draft horse getting to work. A hands-on, maple-flavored event for the whole family. Visit the Museum at Van Hoosen Farm to see an old-fashioned sap-to-syrup from trees tapped right here in Rochester Hills. Sample some real maple syrup and enjoy a pancake breakfast complete with sausage, juice, and coffee. When purchasing tickets, please specify which sessions you would like to attend. Tickets are limited so purchase yours early. For more info / cost info, call 248-656-4673. 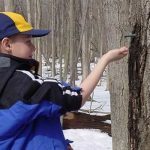 Explore the history and techniques of tapping maple trees to collect sap which is turned into maple syrup. Indoors, learn important tips such as how to identify a maple tree and how many taps can be placed in one tree. Outdoors, practice tapping trees and even take a taste of sap as it flows (sap is dependent on weather conditions). Inside, taste maple syrup and an authentic native American recipe. Each family will receive a spile to take home. Must pre-register in advance. 248-651-7810. 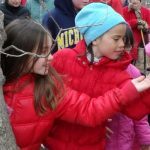 Learn how to identify and tap a maple tree, make a maple themed craft and discover how sap becomes syrup. There will be syrup taste-testing and a sweet treat after the program. Maple items and kits will be available for purchase. Contact 800-477-3175 or 586-749-5997 for price and registration info. Cost is $3/child or $5/adult. A Metro parks vehicle entry permit is required for these events. Vehicle permits are on sale NOW. You can pick one up at metroparks.com OR visit your local Metropark today. Learn the history of maple sugaring and how to identify maple trees. You will take a hike in the spring woods to tap a maple. 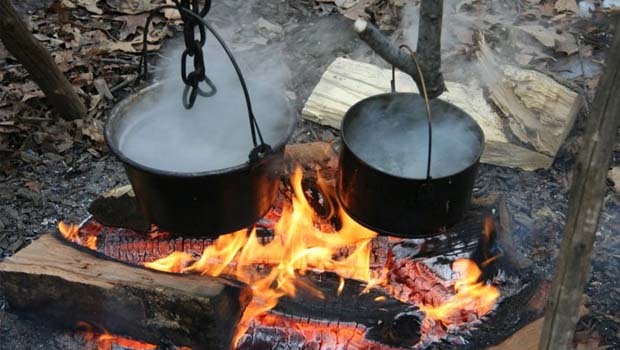 Return to the campfire to warm up and then learn the process of boiling the sap into rich maple syrup. End the program with a special treat. Please preregister, 586-781-9113. Cost is $5. A Metro parks vehicle entry permit is required for these events. Vehicle permits are on sale NOW. You can pick one up at metroparks.com OR visit your local Metropark today. Learn the process of turning maple sap into syrup as you visit different stations throughout the park. Make a craft, taste test syrup and warm up by the bonfire. The blacksmith shop will be open and working. Enjoy French toast, sausage and real maple syrup throughout the day for an additional charge. Maple items and kits will be available. Cost is $3/child or $5/adult. A Metro parks vehicle entry permit is required for these events. Vehicle permits are on sale NOW. You can pick one up at metroparks.com OR visit your local Metropark today. Take a journey to the sugarbush and experience how maple syrup has been made over the years. Tap a tree, and then see the sap being boiled into syrup. After the program, stay and enjoy an all-you-can-eat pancake and sausage breakfast for an additional charge. All ages. $3 child, $5 adult; Breakfast is $6 per adult, and $4 per child. Please preregister, 734-426-8211. Also, March 9, 10, 16, 17, 23, 24, 30, 31. A Metroparks vehicle entry permit is required for these events. Daily & Annual vehicle permits are on sale NOW. You can pick one up at metroparks.com OR visit your local Metropark today. Nature Story Time presents a new nature program every month geared towards children aged 4-7 and their families. Please preregister, 734-426-8211. $5 per child. Metroparks vehicle entry permit is required for these events. Daily & Annual vehicle permits are on sale NOW. You can pick one up at metroparks.com OR visit your local Metropark today. Help tap the trees to kick off the anticipated sap run. Use hand drills to make holes in suitably-sized maple trees, and hang sap buckets from spouts tap into the holes. In addition to tapping some trees, you’ll find out how to identify the proper trees to tap. All ages event. Dress for outdoor conditions. Call for more info or to register. See the methods used to collect maple sap and learn how the maple tree helped sustain early Americans. 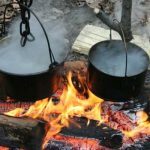 Hear the Native American legend of how our First Nations discovered maple sugaring, how early Europeans collected sap to make syrup, and see a more modern method for developing the sweet stuff. Tap a tree to finish off this family program. Preregistration is required. For more information or to register, call Oakwoods Metropark Nature Center at 1-800-477-3182 or 734-782-3956. Cost is $6 adult / $4 child. A Metroparks vehicle entry permit is required to enter any Metropark. Daily & Annual vehicle permits are on sale NOW. You can pick one up at metroparks.com OR visit your local Metropark today. Take a leisurely stroll with an EIC interpreter to the tapped maple trees, stopping along the way to enjoy the sights and sounds of nature in late winter. Conclude by gathering ‘round the maple syrup stove for demonstration of how sap is turned into sweet maple syrup. Everyone who attends will be offered a sample taste of fresh maple syrup made by EIC “syrup chefs.” All ages welcome. Call for more info or to register. 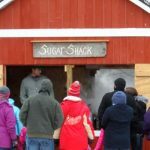 More Michigan Maple Syrup Events 2019 events coming soon. Thank you – this is really helpful! !